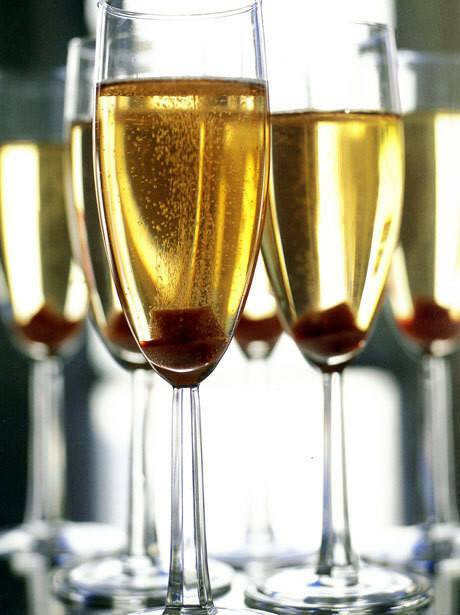 Champagne cocktails never go out of style. This peppy drink fits right in with any menu, from cucumber sandwiches to Thanksgiving turkey. Posted by Chronicle Books • Published 16th December 2011 • See Chronicle Books's 41 projects » © 2019 Lucy Brennan / Chronicle Books · Reproduced with permission. Put the sugar cube in a 6-ounce Champagne flute. Sprinkle all sides of the sugar cube with the bitters. Add the Champagne gradually to prevent bubbling over. Garnish with the lemon twist and serve immediately.